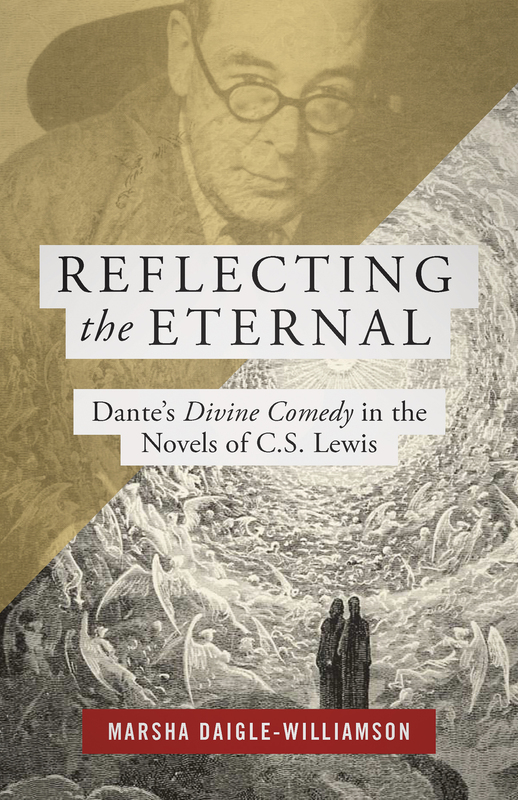 Marsha Daigle-Williamson’s Reflecting the Eternal: Dante’s Divine Comedy in the Novels of C.S. Lewis, now available, traces the relationship between C.S. Lewis and Dante’s Divine Comedy. This is the third post in our series of excerpts from Dr. Daigle-Williamson’s book that show Lewis imitating and adapting Dante’s images and metaphors of light. These passages explore the numerous ways that Lewis turned to his medieval master as a source of illumination. In our second post from Reflecting the Eternal, we saw that “Dante makes geographical features equivalent to spiritual realities,” using relation to the Sun and its light as a metaphor for the relationship that his many characters have to God. In this excerpt from chapter three, Dr. Daigle-Williamson explores the passage in which John, the protagonist of Lewis’s first novel, Pilgrim’s Regress, realizes that he has to retrace his steps, to “regress,” in order to arrive at what he truly desires. The chapter in Lewis’s novel in which John learns he must retrace his steps is titled “Nella Sua Voluntade”—a phrase from the famous passage in the Paradiso in which a redeemed soul says, “In His will is our peace” (Par. 3.85, italics added). In paraphrasing part of Dante’s verse for his chapter title, Lewis intends to convey John’s disposition of overcoming his initial disappointment and peacefully acquiescing to retrace his steps. Like Dante’s pilgrim, Lewis’s pilgrim is given a guide noted for powers of vision for this new phase of the journey. In the Commedia, Beatrice replaces Virgil, endowed with “perfect vision” (see Par. 5.5). For the rest of the journey she helps the pilgrim understand what he sees. In Pilgrim’s Regress, John is led by the angel Slikisteinsauga (whetstone eyes) whose “sight was so sharp that the sight of any other who travelled with him would be sharpened by his company” (Book IX, 6). The pilgrims also receive special vision themselves to equip them for this next phase of the journey. Although Dante’s pilgrim has seen the spiritual realities of the afterlife from the very beginning, after his reunion with Beatrice his vision is transformed and expanded. Gazing at her, he is changed within (see Par. 1.67-69) and is able to withstand successive increases of light from sphere to sphere until he has the capacity for visions of God. John’s knowledge of the truth has transformed his sight; now he sees the terrain differently because he himself is different. John had journeyed west a natural man and had seen the current inhabitants of the country as men and women; now he journeys east a spiritual man and sees the spiritual beings that perennially inhabit the land. He had originally seen cities and normal countryside; now he sees that the region south of the Main Road consists of “swamps and jungle sinking almost at once into black cloud” while the region north of the Main Road is a land of “crags rising within a few paces of the road into ice and mist and, beyond that, black cloud” (Book X, 1). If God is light in Dante’s universe, vision becomes the metaphor for knowing God, with renewed vision revealing the error’s darkness and God’s light to the eyes of the pilgrim. Lewis taking up Dante’s carefully wrought pattern of relationships between pilgrim, guide, and their world as he made his first foray into writing fiction. Lewis’s reliance on Dante’s spiritual geography shines out of the way that Lewis shapes his character’s journey. Our next post will follow Dr. Daigle-Williamson into the cosmos Lewis constructed for Out of the Silent Planet, a world brimming with spiritual light. Reflecting the Eternal: Dante’s Divine Comedy in the Novels of C.S. Lewis is now available! It is for Lewis fans, teachers of Lewis and their students, Lewis critics and scholars, Dante lovers, and general readers. Readers will learn more about the ideas, structural patterns, and narrative details in Lewis’s novels that have links to Dante’s poem, how a modern writer successfully turned medieval poems into modern stories, and how Lewis and Dante both expressed theological and spiritual principles in literature of the highest order. Marsha Daigle-Williamson (PhD, University of Michigan) is Professor Emerita at Spring Arbor University where she taught English for over twenty-five years and won numerous teaching awards. She serves as translator for the Preacher to the Papal Household, and has translated sixteen books from the Italian as well as publishing over forty articles, profiles, and reviews. Dr. Daigle-Williamson has presented at the International Congress on Medieval Studies eight times in the past ten years and has been a member of The Dante Society of America for over fifteen years. The theme of someone seeing the same thing differently after an inner change is a recurring one for Lewis. It is perhaps best articulated in one of the Narnia Chronicles when the narrator says, “what you see and hear depends a good deal on where you are standing: it also depends on what sort of person you are.” The Magician’s Nephew (New York: Macmillan, 1955), 125.